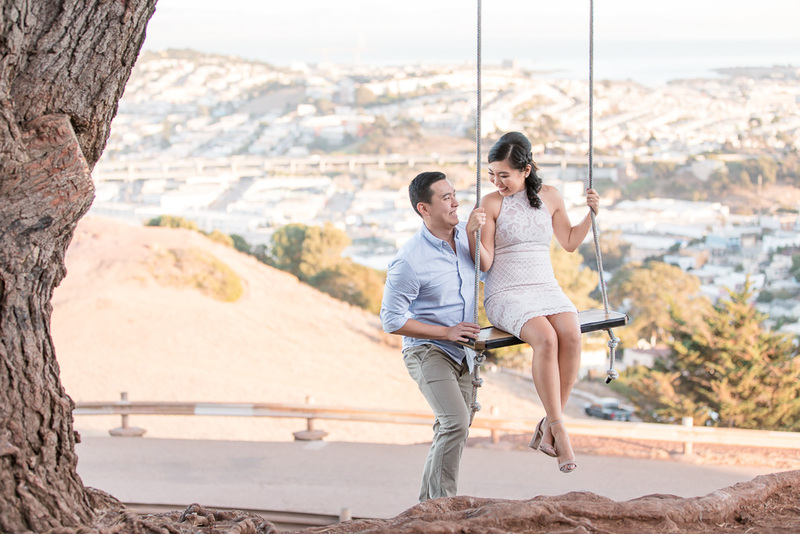 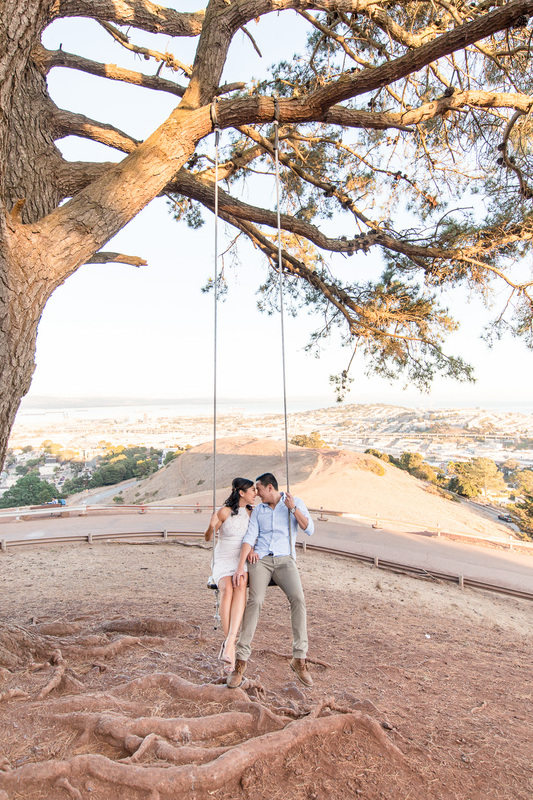 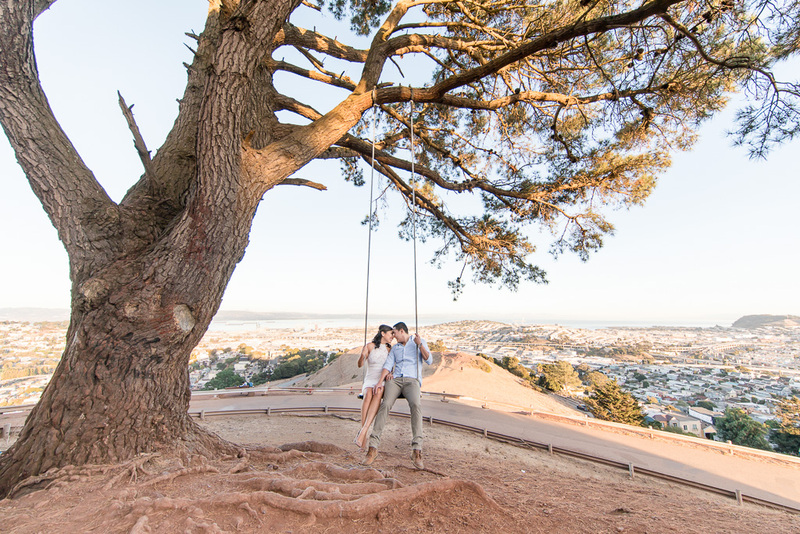 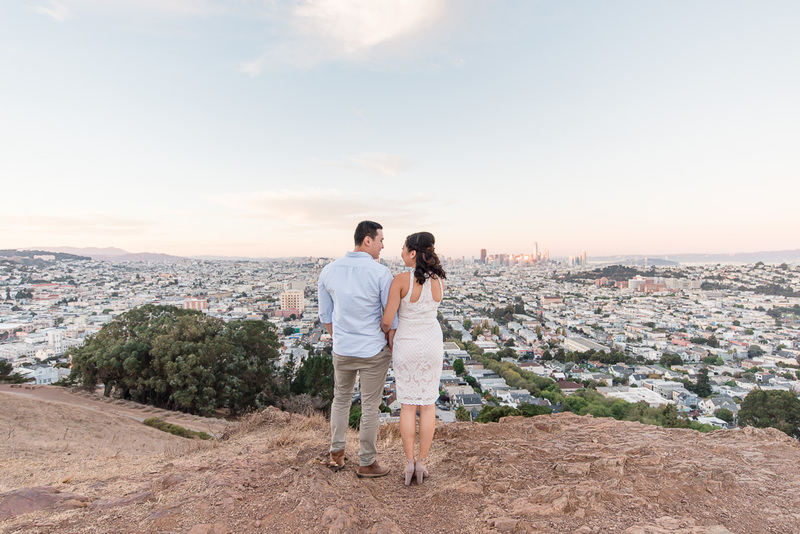 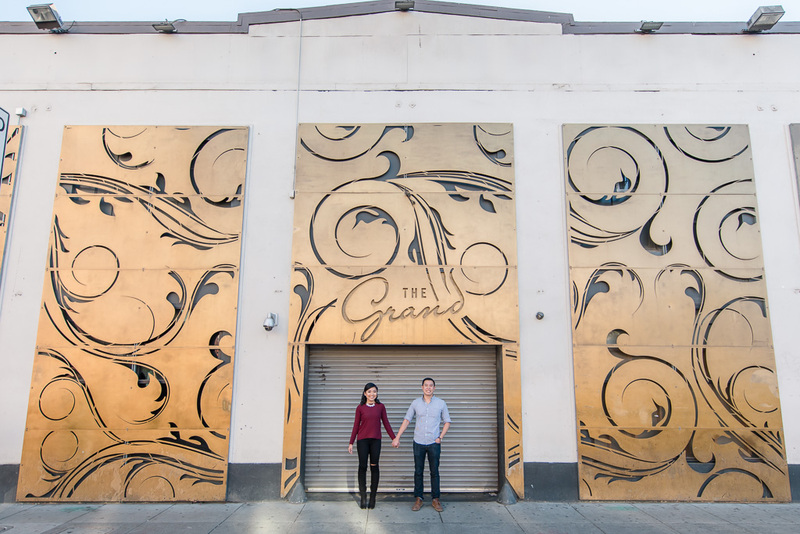 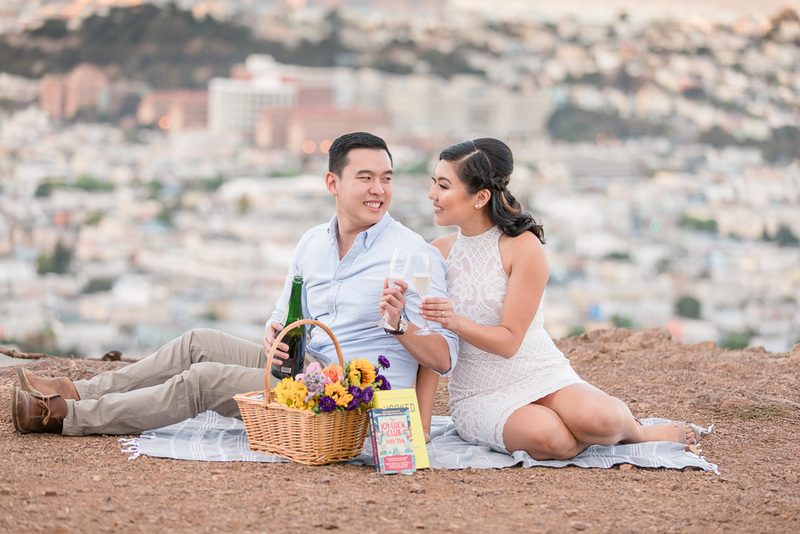 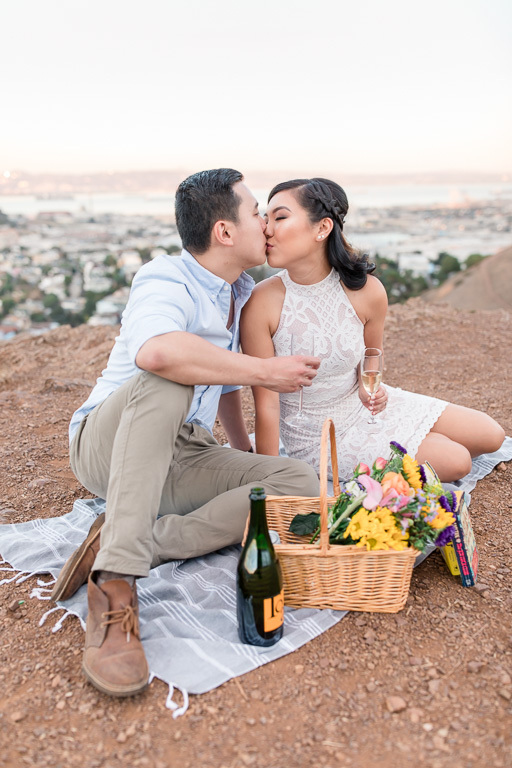 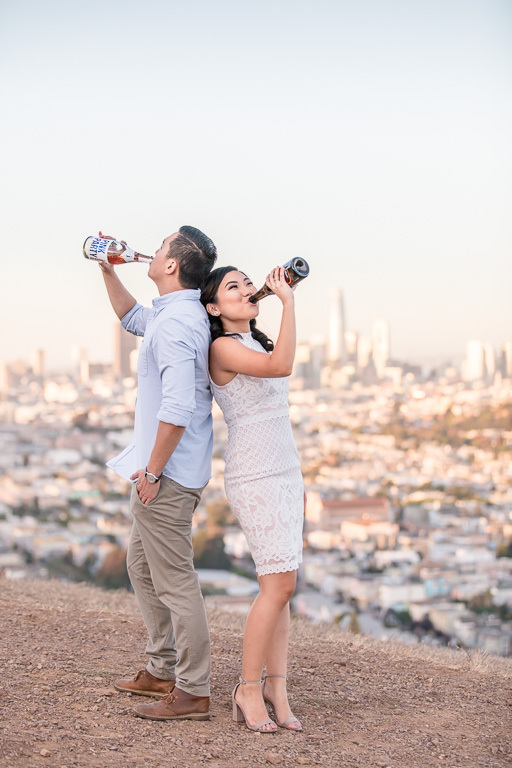 This was actually our first time ever photographing a Bernal Heights engagement session, and it was absolutely perfect. 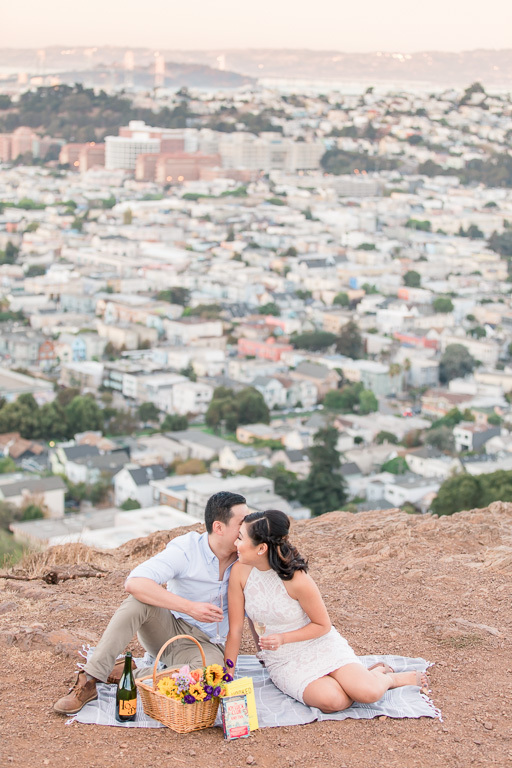 It’s a great mix of urban and nature, and the view and sunset were second to none. 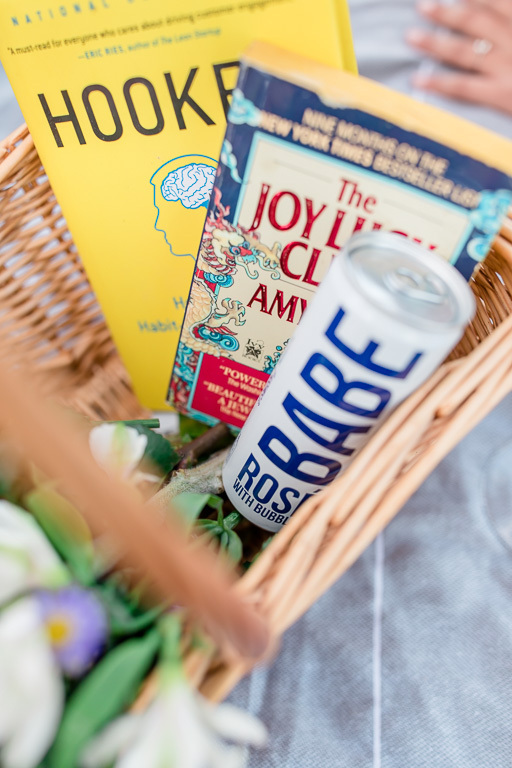 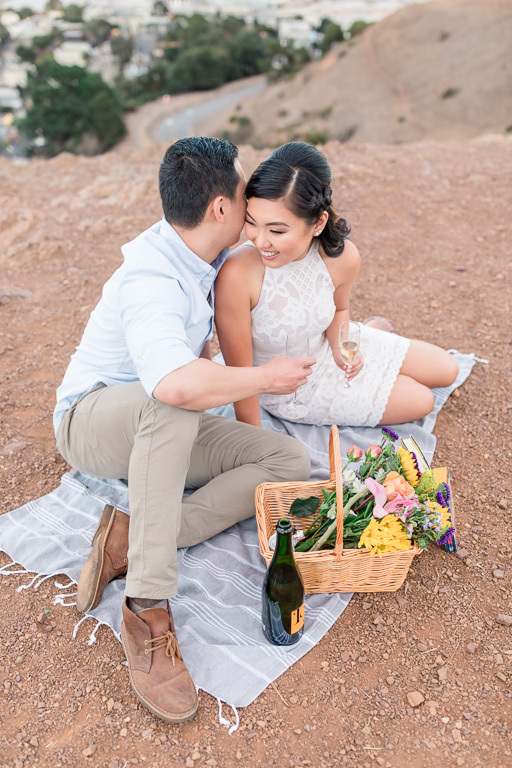 Combined with the perfect couple that was Emily & Steve and their simple yet delightful picnic setup, this engagement shoot was a dream. 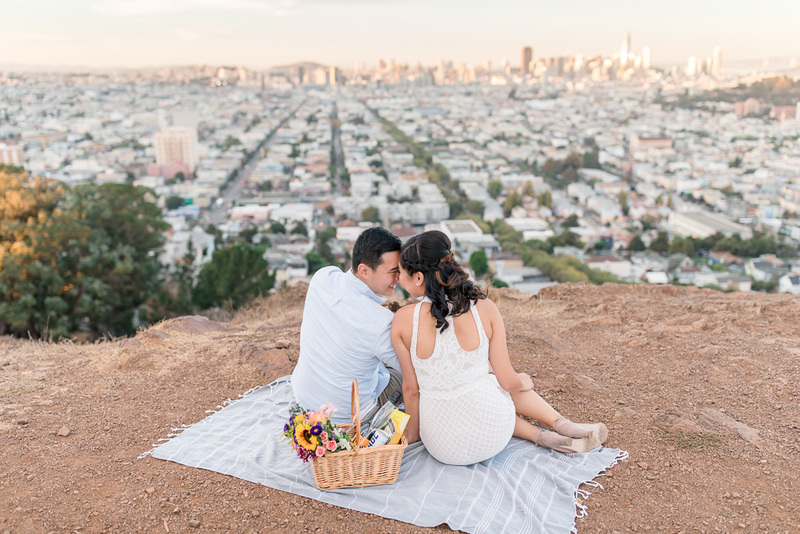 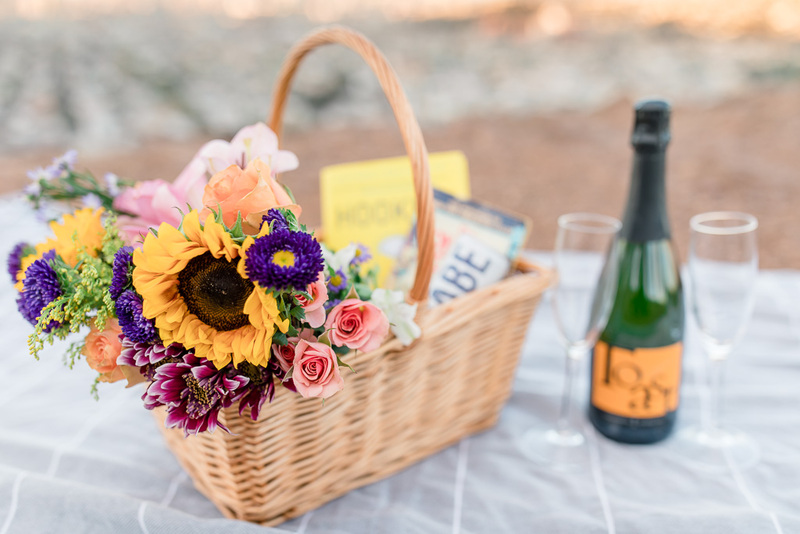 I think Emily & Steve’s fun and natural expressions, plus that pop of color from their picnic basket and flowers set against the sunset cityscape, really pushed this one over the edge into being one of my favorite sessions ever. 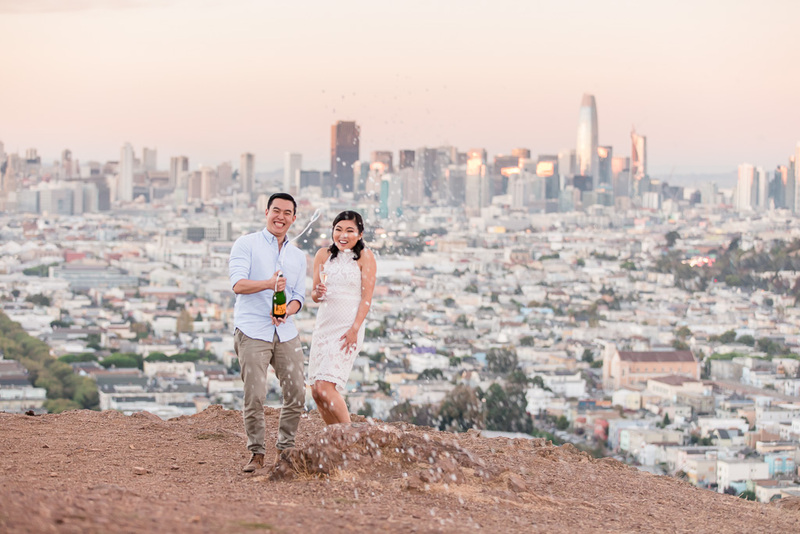 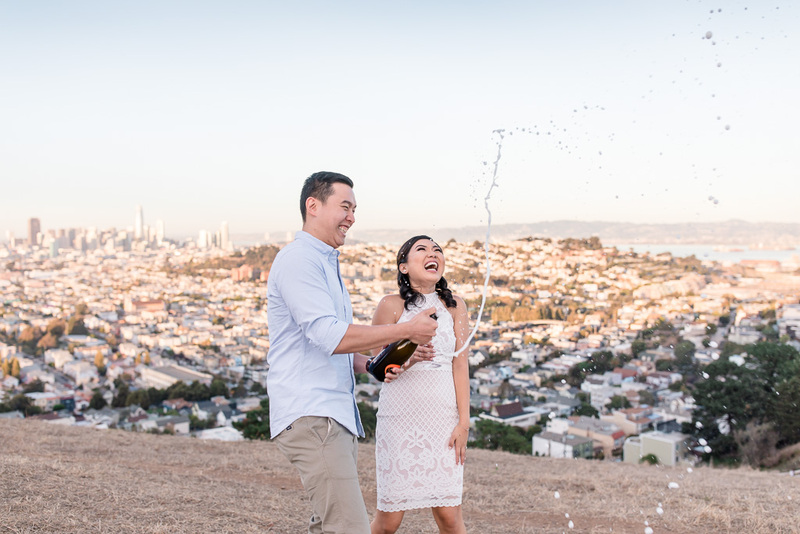 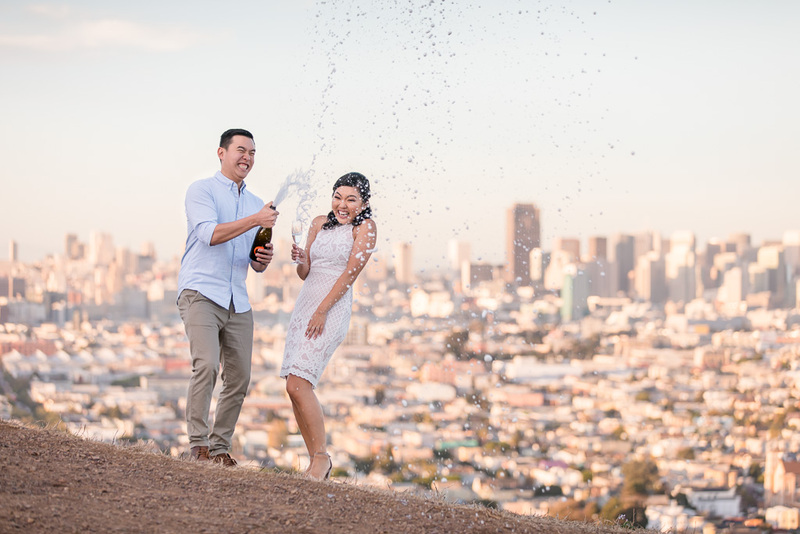 I’m no statistician, but the amount of champagne popped during a shoot seems to correlate strongly with how awesome it turns out… and we went through quite a bit of bubbly that day. 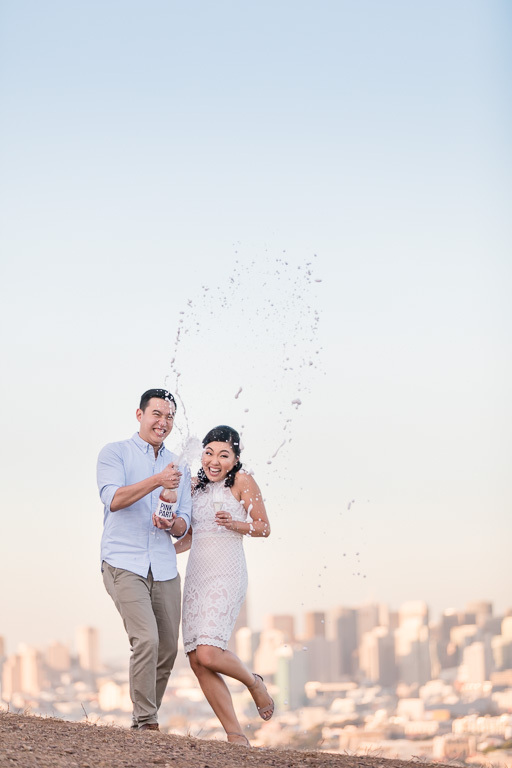 We can’t wait for an even better day at their wedding next year!